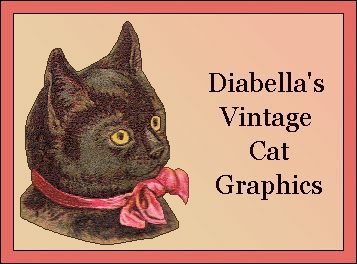 Diabella's Vintage Cat Graphics: Cast of Cats. 100 Dressed Cats. b a c k g r o u n d c o l o r s Pass Mouse Over Color Changer to Change Color of Page. Credit must be shown with the graphics banner to protect our copyright. The "Imagine This!" series has 12 pages. This first page features the individual cats. Many of the cats are also in our Cat Calling Card and Animated Graphics sections. 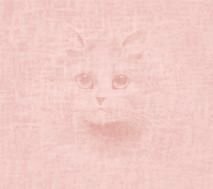 Some are also in other parts of our site, such as The Cat Dance Theatre and Red Witch Cat eCards . A cat doll I created. King Kat meets Esmerelda the Gypsy Cat. Visit the Dressed Dog Graphics. Most of the dogs have the same names and costumes as the cats.